Impractical sleeves are having a bit of a moment right now. From flares so flappy you'll most likely dip them in your cappuccino, to romantic ruffles and balloon sleeves so big they won't fit in your jacket (like this one). Bothersome as they may be for everyday activities (coffee-sipping, lipgloss applying, coat-wearing), I think we can all agree that an over the top killer sleeve can make the outfit. This Bardot, starry-eyed number is by my favourites at Revolve, who never fail to wow with the prettiest of pieces. By their cool LA in-house brand Lovers + Friends, this blouse is going to be a firm favourite in my spring summer wardrobe and will definitely be coming to Bali with me in a couple of weeks! And of course, they absolutely nailed the sleeve game with these OTT darted balloon sleeves. 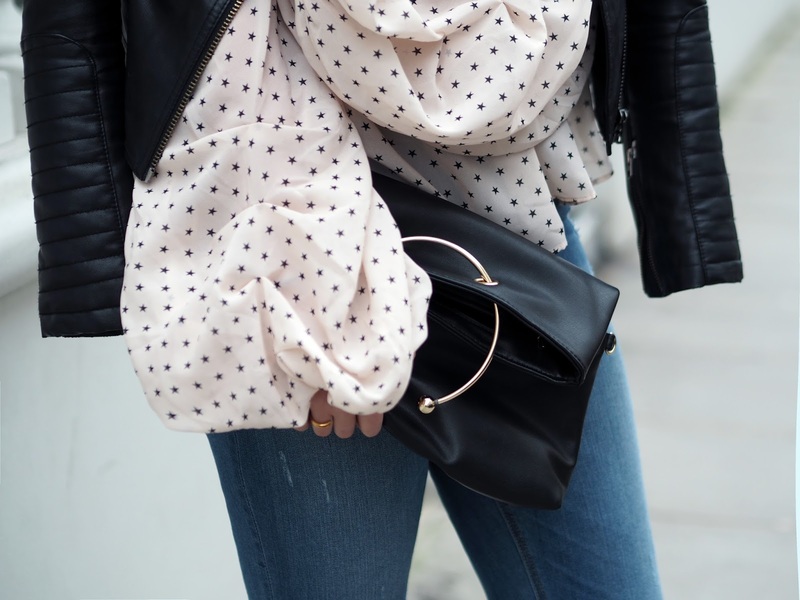 With statement sleeves like this, I always find it's best to let them do all the talking and pair the look with simple basics like a good pair of jeans (you can find these GRLFRND skinnies over at Revolve too) and a throw on leather or biker jacket draped over the shoulders. For something dressier, this look would also look great with a pair of strappy heels, but for daytime I paired it with these minimal but super cute RAYE loafers and absolutely love how the whole look turned out. Thanks for reading – would you try an OTT sleeve like this? As always, would love to hear your thoughts below. Shop the look: Lovers + Friends blouse, GRLFRND denim & RAYE loafers all via Revolve*, Topshop jacket, Missguided bag (now £13), Mango sunnies. 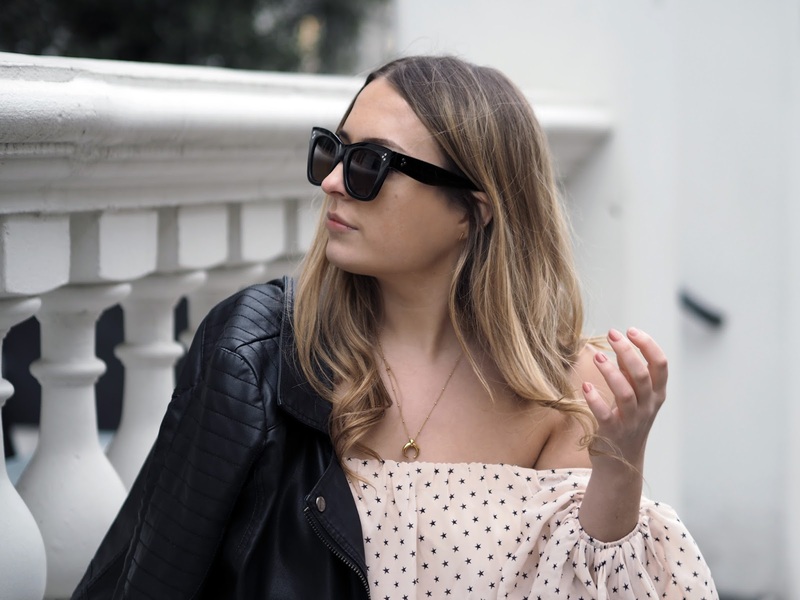 Love this post as I am alllll about the OTT sleeve at the moment, your style is amazing!